The future is airborne. Drones may soon become the key to relieving the burden of traffic on our streets, optimizing deliveries, and improving the safety and efficiency of firefighting. But there are still a few hurdles to cross before the technology reaches the maturity required for large-scale commercial roll-out. In particular, a suitable communication system to control and determine their location remains a challenge. Drone communications must be stable and widely available, should cost as little as possible, and work reliably even when out of sight. Scientists at the Fraunhofer Institute for Telecommunications, Heinrich-Hertz-Institute, HHI in Berlin have found a solution: call a drone. “miracle cure” fluctuates greatly, depending on the material used and the environmental factors. With a new measuring device, researchers now want to determine the photocatalytic effectiveness of surfaces more accurately and quickly, thereby increasing efficiency. Drone technology holds great promise. In the foreseeable future drones could replace delivery vehicles on the roads, in turn relieving the traffic burden and reducing CO₂ emissions. Drones would also make delivery routes considerably shorter and cut the time it takes for parcels to arrive. In the event of a fire, drones could fly ahead of firefighters and send them images of the situation at the site. There are many more probable scenarios for putting drones to work. But there are still a few hurdles to cross before drones can be rolled-out for large-scale commercial use. A secure communication to control and determine their location remains a challenge. 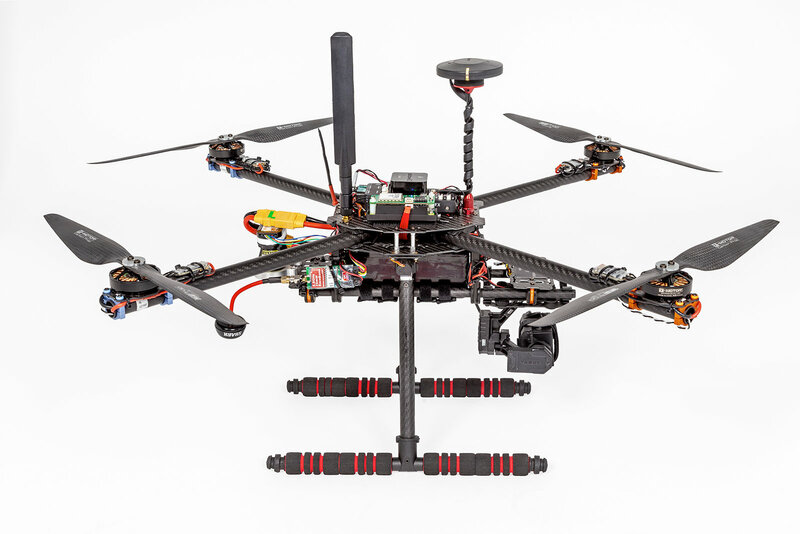 Today’s drones are typically controlled by regular remote control. The limited range of this solution, however, severely restricts the scope of where drones can be used. An alternative possibility would be to exchange information using data channels of the mobile network. But this option also has its flaws which, as things stand, rule out reliable, commercial use on a large scale. These channels are not designed to offer a constant, real-time connection; instead they provide a temporary connection sufficient for transferring data packets, to upload a website, for example. This means the connection is subject to frequent interruptions. What’s more, there’s a risk of network overload when the data channels are used in busy city centers or at major events. Another solution would be to set up a drone-specific infrastructure for controllers to communicate with the devices. But in addition to the complexity and expense this would involve, the radio resources required for this endeavor are scarce. The available frequency ranges are often plagued by disruptions and capacity overloads, making a solution of this kind neither a safe, secure nor economically feasible option. 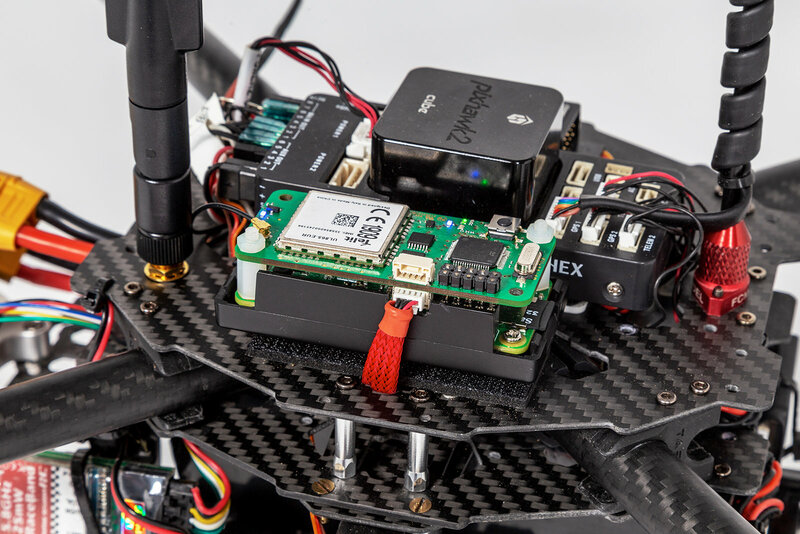 Experts from Fraunhofer HHI, however, have developed a solution that is stable, affordable, not limited in range, and essentially, ready to go: controlling drones using the voice channels in mobile networks. “A major advantage is that – unlike the data connections – the voice channels are available almost everywhere and they’re highly reliable, too,” explains Tom Piechotta, research associate at Fraunhofer HHI. “Even in areas where there is only a limited data connection, or even none at all, there is usually still network coverage for voice channels.” An additional benefit is the near absence of any extra costs involved, because no new infrastructure or special contracts with network providers to prioritize data connections are required. A simple audio connection is all that is needed – as already exists with every prepaid sim card. Drone control works on the basis of two-way communication: controllers on the ground transmit commands to the device, and the device returns information on its position, altitude or battery status. “Relatively speaking, the control commands and positioning information are fairly small amounts of data, but they must nevertheless be transmitted reliably,” says Piechotta. “We convert the commands into audio signals, in much the same way as modems used to. A small module on the drone then translates the audio signal back into a command. 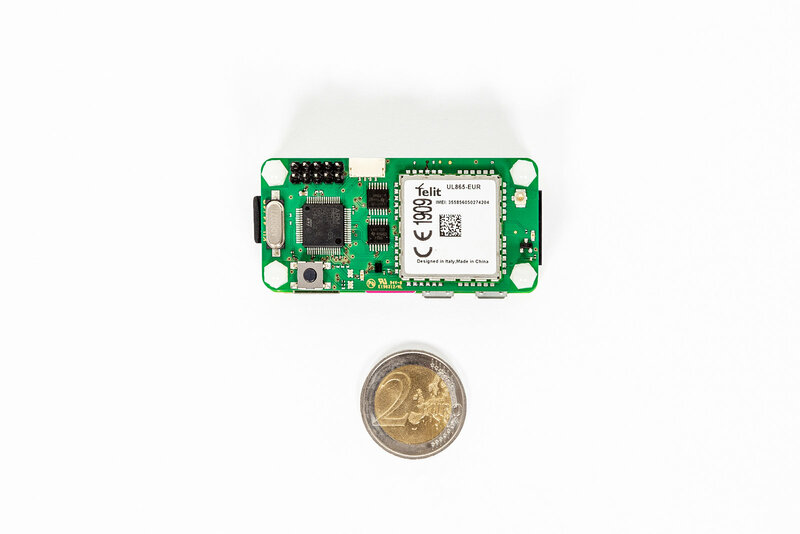 Transmitting the information in this way is extremely favorable given that it works in real-time and is highly resilient to failures and connection disruptions. Another advantage is that no new radio standards or infrastructure are required; the requisite technology is already available today – all over the world.” Since the information is transmitted via standard mobile networks, a connection to the drone can be established at almost any point on earth – it’s no different to making a long-distance phone call. But how can you control a drone when it is out of sight, perhaps even on the other side of the world? The drone’s location can be visualized using an online map service such as Google Maps. Also shown on the map are the drone’s position and altitude, which the device transmits in real-time. Another option is to install sensors on the drone to detect and avoid unexpected obstacles, such as other drones, helicopters, or cranes. Drones can be controlled either by an operator on the ground, or by using transmitting waypoints. The latter option is particularly appealing for applications such as parcel delivery. “With our system we rarely come across any dead spots. If a network is down, the connection switches to another mobile communications standard, from LTE to GSM or UMTS, for example. If the connection is lost, the drone has an automatic call-back function that activates almost immediately,” explains Piechotta. “Another advantage of the technology is that it’s one hundred percent future-proof. Mobile communications standards come and go – but voice channels are a permanent feature. Mobile networks will always provide voice channels and, as long as this remains the case, the system we propose is a reliable and affordable alternative to conventional data connections.” In other words, it’s now possible to communicate with drones anywhere, at any time.